Robert Duncan McNeill is an American actor, producer, movie director, and television director who is best known for his role as Lieutenant Tom Paris on the television show Star Trek: Voyager. McNeill grew up in Atlanta, and began his career acting in local and regional productions before becoming a student at The Juilliard School in New York City. He enjoyed early success as a professional actor, winning the role of Charlie Brent on All My Children and starring in the feature film Masters of the Universe. He also starred in an acclaimed episode of the 1980s version of The Twilight Zone, A Message From Charity. He then appeared with Stockard Channing in the Broadway production of Six Degrees of Separation before returning to Los Angeles to pursue roles on television. He appeared in featured guest roles on numerous TV series, including Homefront, "Dexter ", L.A. Law, Quantum Leap, and Murder, She Wrote. He was a featured cast member on the short-lived 1992 series Going to Extremes, Another guest role that same year was in "The First Duty", an episode of Star Trek: The Next Generation, in which he played Nick Locarno, a Starfleet Academy cadet and squad leader who pressures fellow cadet Wesley Crusher into covering up their wrongdoings. He would later become a Star Trek regular in 1995 on Star Trek: Voyager, on which he played Tom Paris, a Starfleet officer with a backstory similar to Locarno's. McNeill began his directing career with several episodes of Voyager. He then wrote, produced, and directed two award-winning short films, The Battery and 9 mm of Love, and began to direct other episodic television. 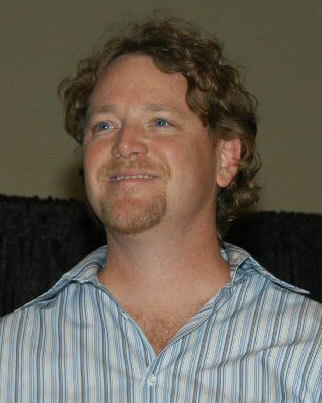 While he has since performed as a guest star on television shows like The Outer Limits and Crossing Jordan, McNeill is now focusing on his directing career, helming episodes of Dawson's Creek, Everwood, Star Trek: Enterprise, Dead Like Me, The O.C., One Tree Hill, Las Vegas, Summerland, and Supernatural. His directing credits for 2006–2007 include episodes of Desperate Housewives, Medium, Standoff, The Nine, The Knights of Prosperity, In Case of Emergency, What About Brian and My Boys. In 2007, he directed the season 5 premiere of Las Vegas, the pilot of Samantha Who? (which features his Star Trek: Voyager co-star Tim Russ) and then signed on as a producer-director of the new NBC show Chuck, helming numerous episodes, including the first episode of a TV show to be broadcast entirely in 3D. In 2010, McNeill directed an episode of V, an ABC science fiction television series produced by Scott Rosenbaum, a former writer and executive producer on Chuck. Whole or part of the information contained in this card come from the Wikipedia article "Robert Duncan McNeill", licensed under CC-BY-SA full list of contributors here.